Haidresser beginner or expert, doesn't matter, Colour charts Schwarzkopf Professional or Wella Professionals will be your an inherent partner in working with colors. They give you a quick overview of the scale and color shades. 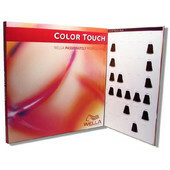 The resulting color will be more precise and the customer will be happier. Your partner for precise coloration!